Copper Quartzite mosaic tiles are striking with deep coppers, reds, blacks, and grays. 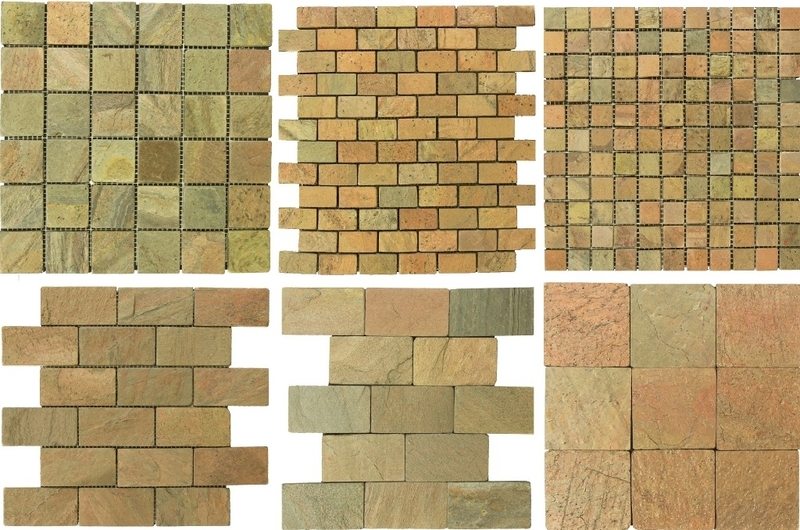 They are available in a variety of finishes and tile sizes including mosaics. Recommended usage includes flooring, walls, backsplashes in both residential and commercial properties. Attain exceptional style with this naturally beautiful collection.